The British government has decided an Indian-born Victoria Cross winner will, after all, be granted a memorial plaque in his home town of Exmouth, Devon. 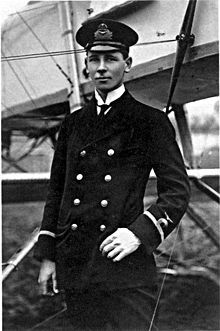 Royal Navy sub lieutenant Rex Warneford was awarded the VC, aged 23, when he shot down German airship LZ-37 in 1915. Warneford will be commemorated alongside the town’s other VC winner, lieutenant Richard Sandford in Exmouth’s Phear Park. Sandford won his VC at the Zeebrugge raid of 1918. The naval aviator was born in Darjeeling in 1891, the son of a colonial administrator and spent his first 13 years in India. On 7 June 1915, he was one of four pilots, flying Morane Parasol aircraft, who were detailed to attack Zeppelin sheds in occupied Belgium. Sub lieutenant Warneford had never flown in the dark before and at some stage lost the other members of his flight. He spotted airship LZ-37 airship cruising at 7,000ft near Ostend and destroyed it, though the blast damaged his own plane and he was forced to crash-land. He was killed 10 days later in a flying accident in France. 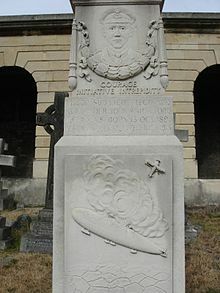 He is buried in Brompton Cemetery, London. This entry was posted in News, Soldiers of the Great War and tagged airship LZ-37, Belgium, Exmouth, lieutenant Richard Sandford, Morane Parasol, news, Ostend, sub lieutenant Rex Warneford, VC, Victoria Cross. Bookmark the permalink.